This natural Alaska gold nugget is shaped like a sheep head. You can see the whole head shape. 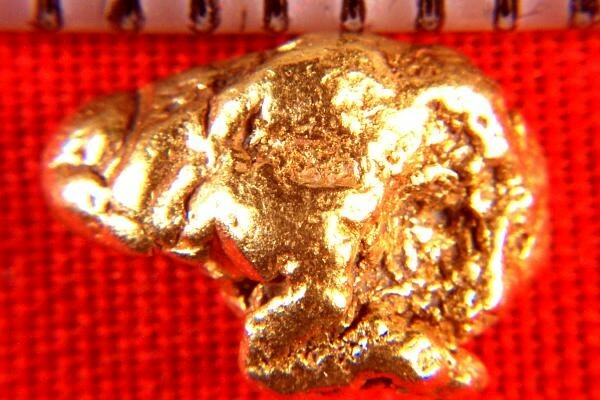 It is rare and unusual to find natural gold nuggets in such distinct shapes. This Alaska gold nugget is 3/8" (10 mm) long. The weight of this gold specimen is 30 Grains (1.93 Grams). 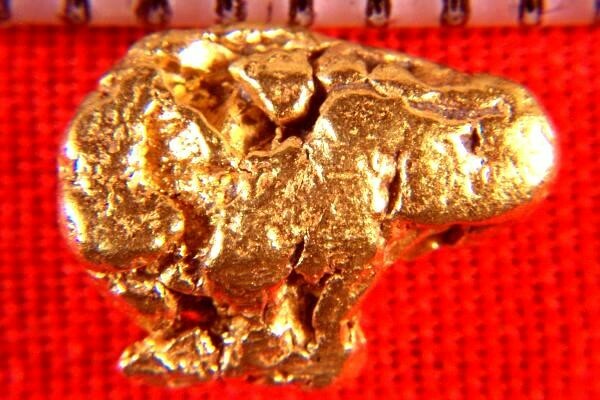 It has gorgeous color and is a jewelry/investment grade gold nugget. Comes with a certificate of authenticity.